As Real Madrid continues preparing for the new season at the United States, Cristiano Ronaldo took some of his time to grant an interview to an American reporter, Jackie Montgomery. During this talk, the Portuguese star didn't hide his satisfaction for Real Madrid to have picked the United States for another pre-season tour and said that he hopes to play in the MLS some day in the future. Chances of seeing Cristiano Ronaldo coming to the United States to play in the MLS have always been very slim, to say the least. However, in a talk with an American reporter, Jackie Montgomery, the Real Madrid superstar preferred not to close any doors on that possibility and disclosed his admiration not only for the United States as a country, but also for the passion of most of its soccer fans as well as the MLS potential. No one expects Ronaldo to leave European football while he still is on his prime, but the prospect of seeing the Portuguese legend starring in the Major League Soccer on his last years as a professional footballer, will certainly start rising from now on. Jackie Montgomery: "You're coming from an impressive season least year, scoring 60 goals across all competitions. How do you top that? What goals have you set for yourself this season?" Cristiano Ronaldo: "To be the same, even though the entire season is a challenge for me and I always aim at being better. I'm aware that the targets will be harder to accomplish this season, but I'm ready and I'm training to reach my top form, so I can do my best, like in all previous years." Jackie Montgomery: "This is the third year that Real Madrid comes to the United States for your pre-season training. What's your take on the soccer here in the US? What do you think that the Major League Soccer (MLS) should do, in order to get to that next level?" Jackie Montgomery: "That's exciting for MLS fans! But for now, you still have a couple more matches before you head to Philadelphia to face Celtic. What is it about that match that you're most looking forward to?" 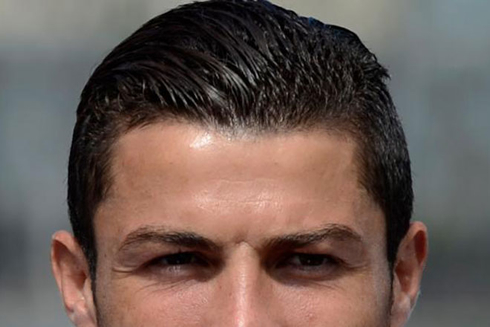 Cristiano Ronaldo: "Everything is nice... I think that all the games we have between trainings on this pre-season will be great. We already played against the LA Galaxy, now in Las Vegas and then we'll still take AC Milan and Celtic. All of those are great games to prepare our season and I think the US tour has been phenomenal so far. Therefore, we can only be happy for it and we look forward for the remaining games on the schedule. Jackie Montgomery: "You played in Philadelphia last year, against the local side, Philadelphia Union... What is it about that town that you're most looking forward to, having in mind the passion that drives soccer fans there? Cristiano Ronaldo: "What I remember very well is how hot the weather was last year, especially at night. I hope it can be a bit more fresh this time so we can peform better, because we were like snails in last year's game, moving really slow on the pitch! Anyway, I remember the people there and they were really passionate fans, which made me enjoy it a lot and I'm already excited to be able to play there once more." 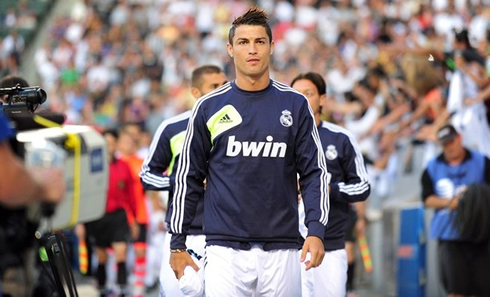 Cristiano Ronaldo and Real Madrid will have one their most serious tests on this pre-season, against the powerful Italian side, AC Milan, this Wednesday night (08-08-2012). You can watch Juventus live stream, Real Madrid vs AC Milan, as well as Barcelona vs Manchester United, and Brazil vs South Korea from our football live streams section.